A 16-year-old boy was stabbed to death in Reading on Sunday night and police are trying to figure out who did it. Reading High School sophomore Christian Torres died on the 1100 block of Locust Street around 8:30 p.m. Supposedly a fight broke out because someone was wearing a clown mask. Recent reports of bizarre clown sightings have only confused the investigation. 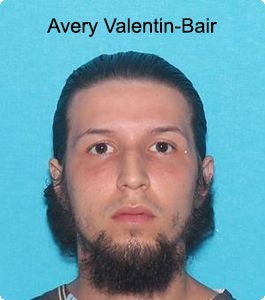 Police are looking for 29-year-old Avery Valentin-Bair as a person of interest in the case and is wanted for questioning. The father of a 2-year-old found shot in Bucks County earlier this month is being charged with the boy's death. Nicholas Wylie faces charges of Involuntary Manslaughter, Endangering the Welfare of a Child and Recklessly Endangering Another Person. It happened on the 2100 block of Kumry Road in Milford Township at 11:05 a.m. on September 12th. 2-year-old Benjamin Austin Smith was found with a gunshot wound and rushed to the hospital where he died. The house belongs to Wylie's parents. The father and son were the only two home at the time. Benjamin found a .45 caliber handgun in his father's room and accidentally shot himself while his father was in the other room watching TV. 25-year-old Wylie was arraigned Wednesday afternoon. A man was shot multiple times and killed while smoking a cigarette outside his home in the Wissinoming neighborhood last night. The 33-year-old stepped outside for a smoke when an unknown gunman opened fire around midnight. Investigators found at least 10 shell casings. He was rushed to Temple University Hospital where he was pronounced dead. Police believe that he was targeted. They are checking for any surveillance footage in the area. No word on possible suspects or a motive. This afternoon, Cloudy w/ occasional rain showers, temperatures around 70 degrees in Center City.